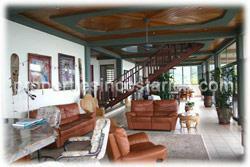 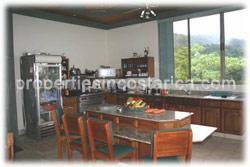 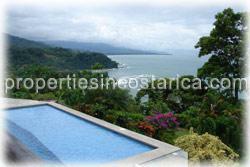 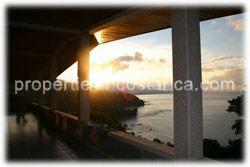 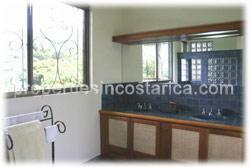 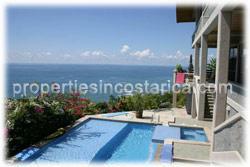 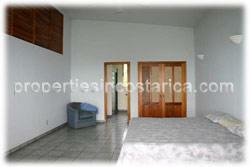 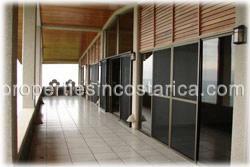 This 4 bedroom (with ensuites) house is locate on 9.7 acres just outside of Dominical on the southern Pacific Coast. 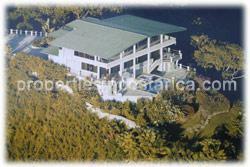 The large 6,500 square foot house also has 2 car attached garage, caretake's residence, swimming pool, jacuzzi, and waterfall. 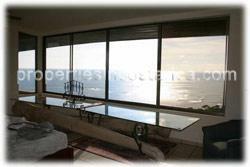 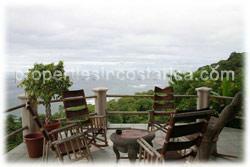 The large decks and terraces afford magnificent views of the jungle and the ocean with spectacular sunrises and sunsets. 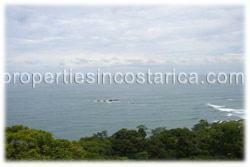 Wildlife is abundant in the area including; toucans, sloths, Howler monkeys and migrating whales and dolphins can be seen in the ocean. 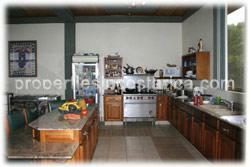 The house was built in 1999 and comes with a modern kitchen complete with marble counter tops. 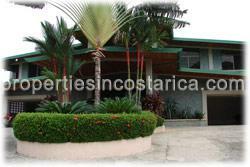 Privacy is protected by an electronic gate. 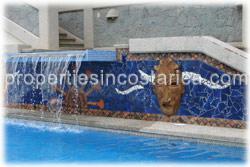 Close to hotels, restaurantes and other activities.